Looking for a way to meet people? 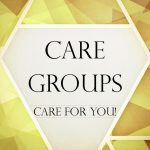 Try one of our Care Groups! These groups serve as a relationship network that facilitate fellowship and provide deliberate discipleship. Check out these groups!